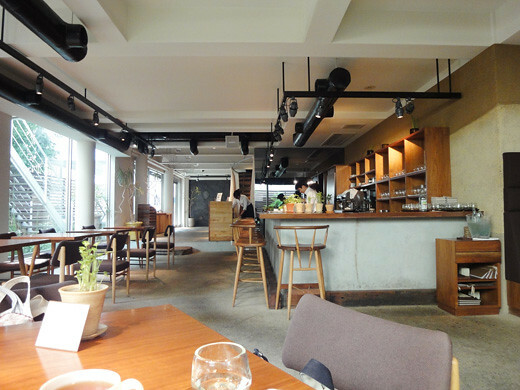 My friend and I went to have a lunch on last weekend at ‘kurkku <<< kitchen’ in Harajuku, Tokyo. 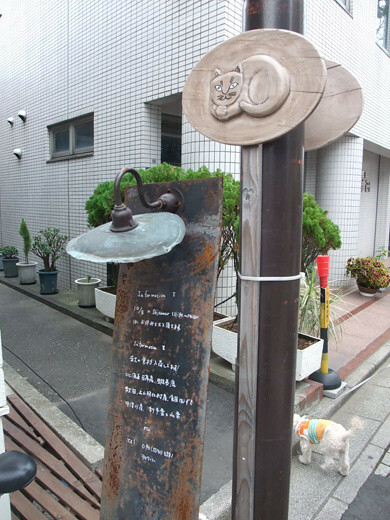 We had their special lunch course. It was started from a soup. 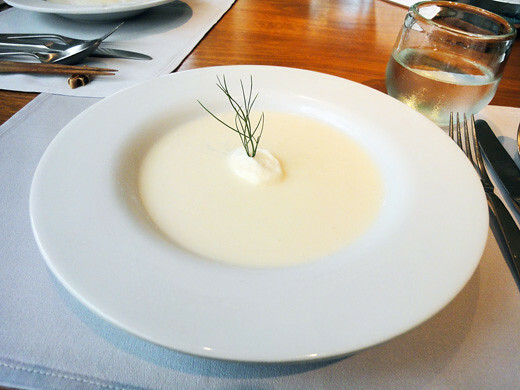 We chose a cold potato soup, ‘vichrssoise’ which is my favorite. 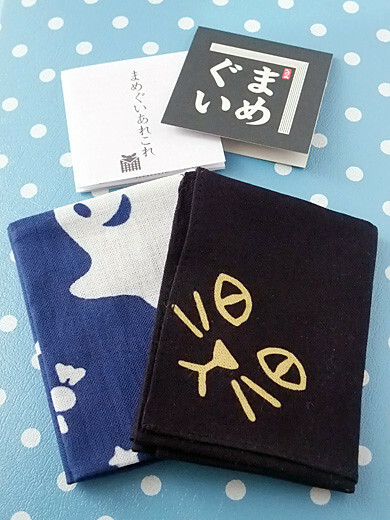 “mamegui” is a coined word from “tenugui” (like traditional cotton towel) and “mame” (bean, sometimes it means tiny in Japanese). 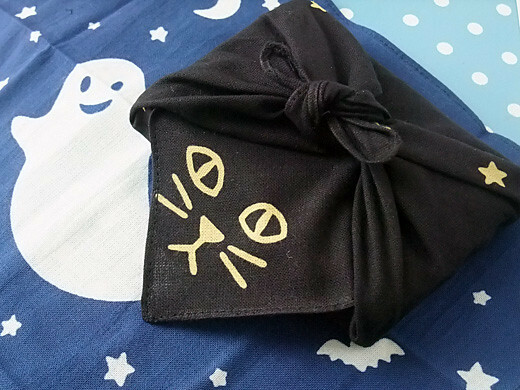 These are small hanky sized tenugui. 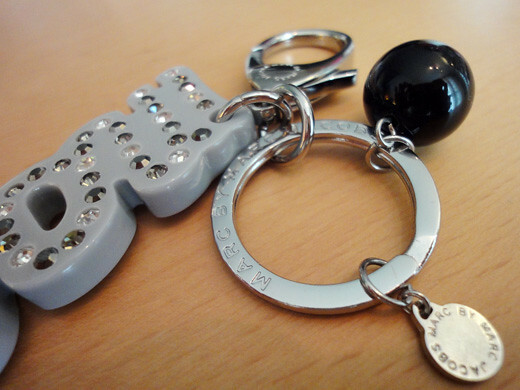 I got a plastic key loop chain from Marc by Marc Jacobs. The sparkling clear plastic stones of 3 colors such as black, gray and clear are mounted in the shape of the great logo, ‘Marc’ that is very cool. 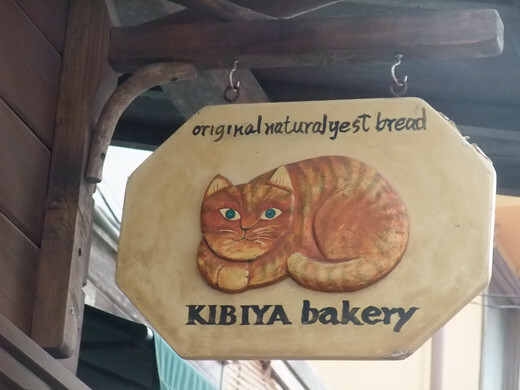 Wooden cat watching me, I was carried away to the shop, KIBIYA bakery. 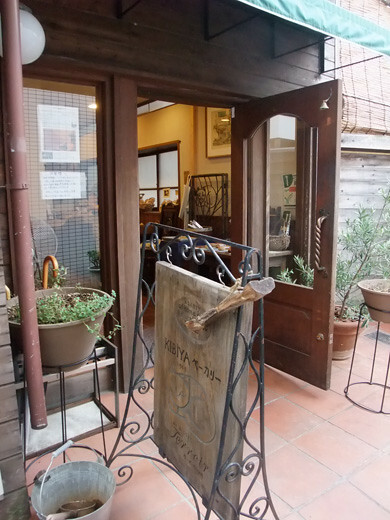 The bakery is famous for tasty breads and sweets made by natural yeast fungus, good quality ingredients. 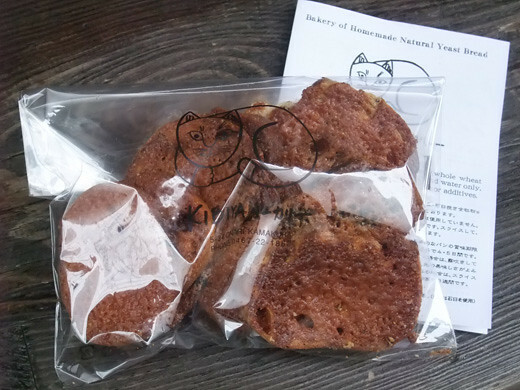 I got rusk made from variety of their breads. yum! I got a cute hair accessory from SUNAO KUWAHARA. stones in a skull shaped clear plastic. 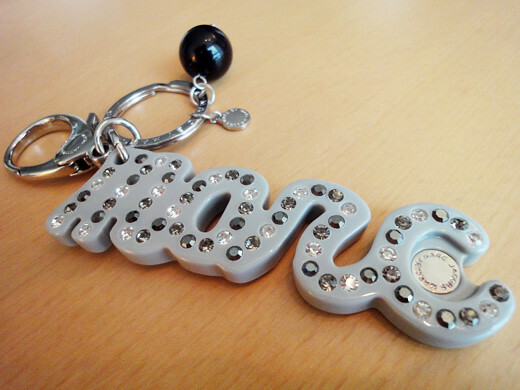 It looks very simple, but it has dazzling beauty. 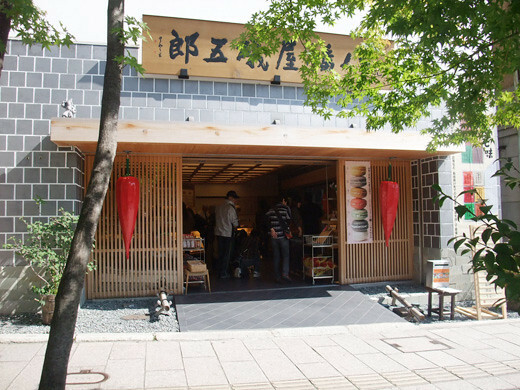 There’s so many original pepper foods and goods in Yawataya Isogoro. 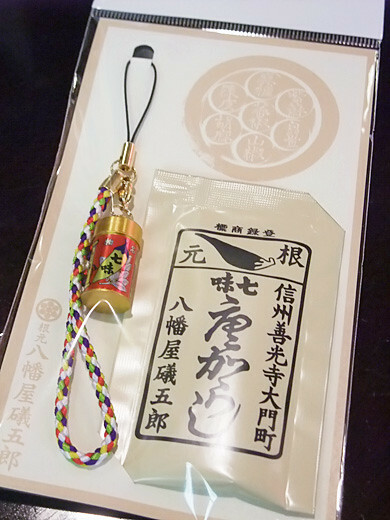 After I got my personal blend of shichimi pepper, I found miniature of their pepper’s can motif mobile phone charm. 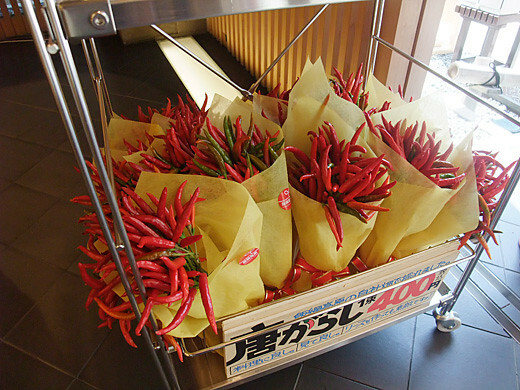 It is so cute, and the can works… you can bring shichimi pepper everywhere within that! 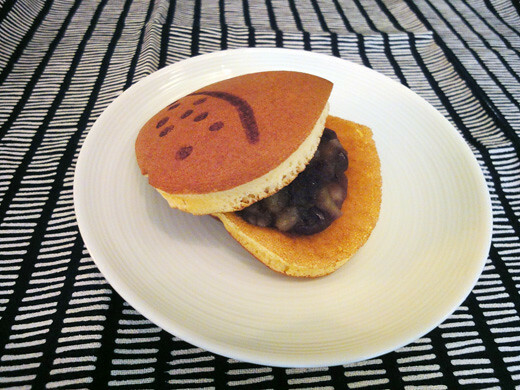 I got a ‘Kuri-dora’ that was very good pancake from Hachi No Ya. 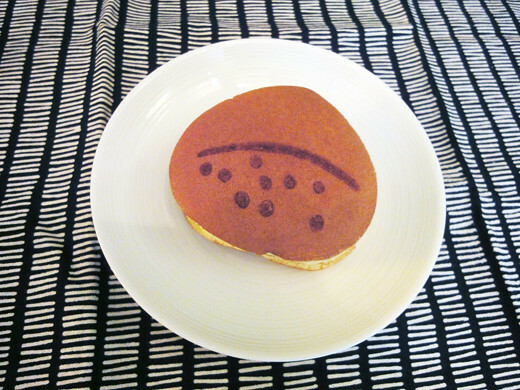 It’s a chestnut shaped of a Japanese red bean pancake. 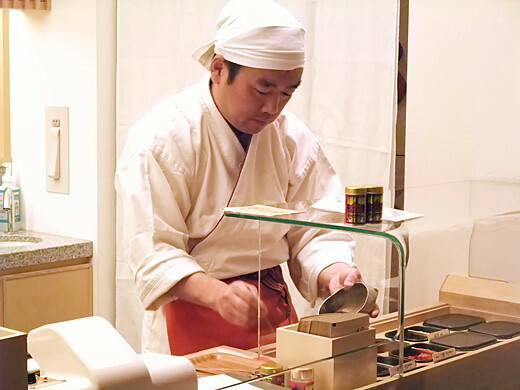 Also, crushed chestnuts are contained in the chestnuts red bean. 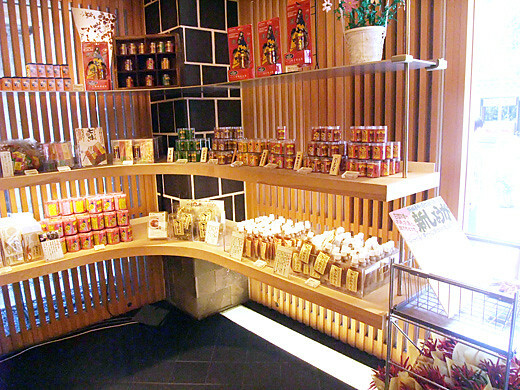 The lovely Japanese confectionery brings a sense of the fall season. 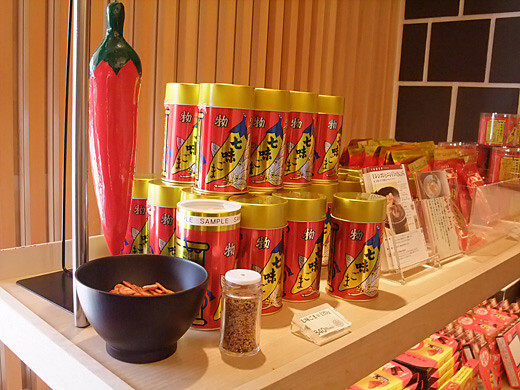 Yawataya Isogoro is famous for shichimi pepper, blend of Japanese traditional herb with pepper. 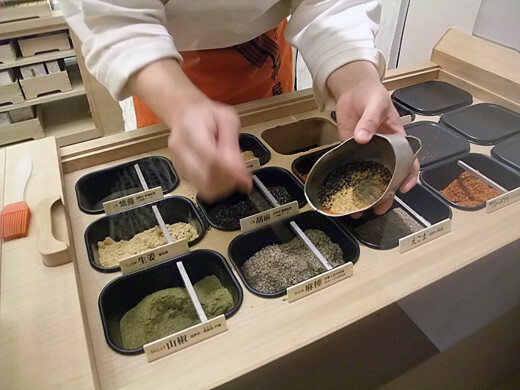 We can get their special recipe, and now we can get one as you like – “personal blend” shichimi pepper at their head store! 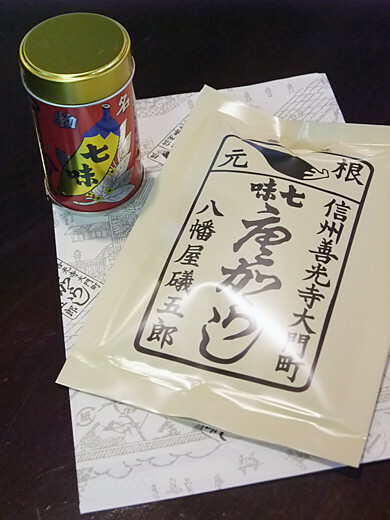 I ordered basic base, adding yuzu and sansho. 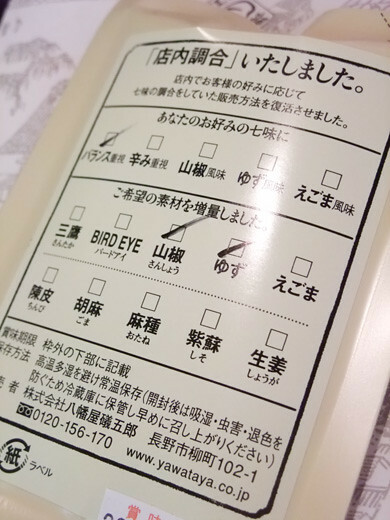 It was good scent of citrus with Japanese pepper.